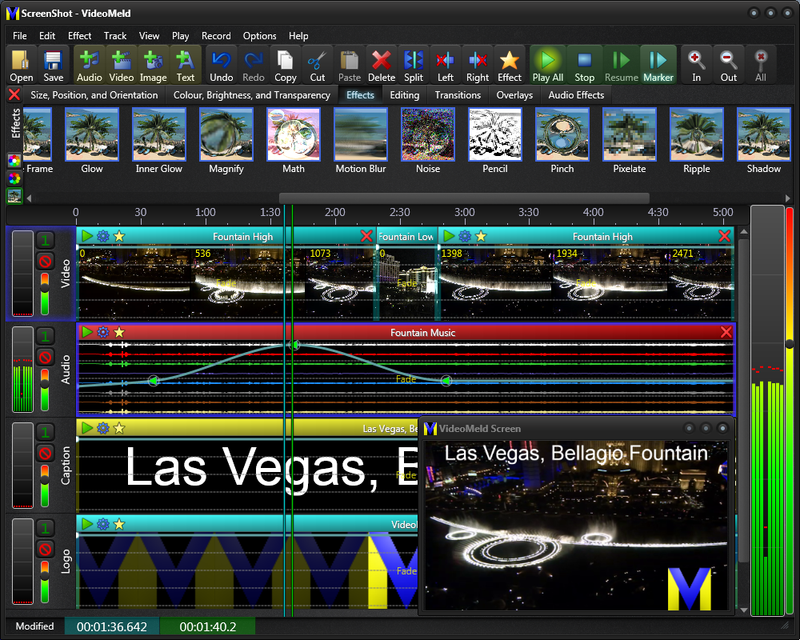 VideoMeld is a complete multitrack video and audio editor. Use it to mix any number of video and audio files into a single, high quality file, create presentations, edit YouTube videos, record and edit songs, layer video and image files together, and more. Many audio and video effects are included such as equalizer, noise reduction, pitch, volume, picture-in-picture, fades, transitions, transformations, colour adjustments, special effects (green screen), and many more. Most effect settings can be varied precisely over time to create engaging animations and unique videos. 64 bit program. Many improvements and new features.